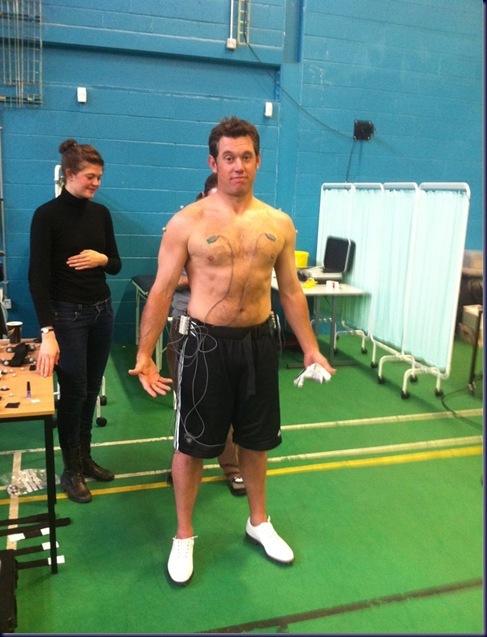 Home Unlabelled Five Years Ago Today: Lee Westwood Stripped And Got Wired! Five Years Ago Today: Lee Westwood Stripped And Got Wired! I can't believe five years have passed since Lee Westwood dropped into the Omni Corporation for an essential processor upgrade. I only noticed that lady in the background now. Wait, is she trying to hold her stomach so she doesn't get sick?!! And the mystery of the incredibly shrinking shorts still hasn't been figured out!